Bundesliga | What to look out for in the Official Fantasy Bundesliga final stretch! 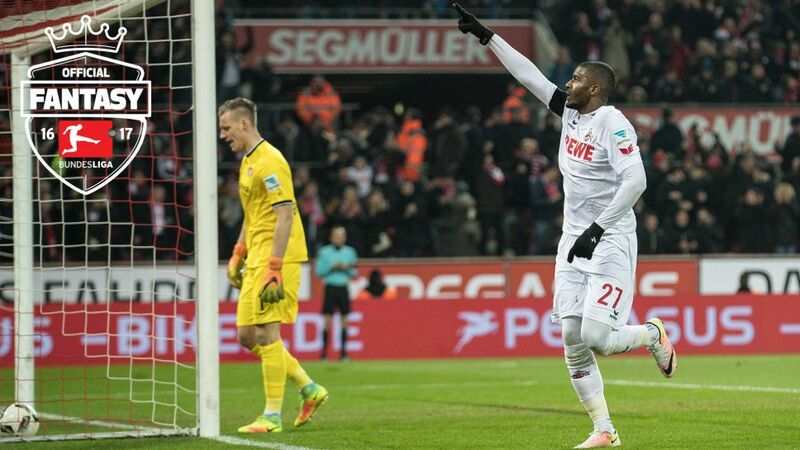 Can Cologne's Anthony Modeste add to his 25-goal haul in the final two games of the season? What to look out for in the Official Fantasy Bundesliga final stretch! The last two Matchdays of the Bundesliga season are set to conjour up quite the climax given that all nine games on both weekends kick-off at the exact same time – so triumphs and tears are guaranteed! Click here to make changes to your Official Fantasy Bundesliga side! However, it’s not just the players and coaches who are facing unique challenges as the season reaches its conclusion. The same can be said of those involved in the Official Fantasy Bundesliga. The last two rounds of fixtures could prove pivotal and it’s up to you to do everything in your power to get the most out of your side before the campaign comes to a close!